da Cultura Indo Portuguesa (Goa) is hosting a Photography Exhibition of a selection of rare portraits from author and photographer, Pantaleão Fernandes’ recent coffee table book – Goa: Rare Portraits – at Institute Menezes Braganza hall, Panjim. 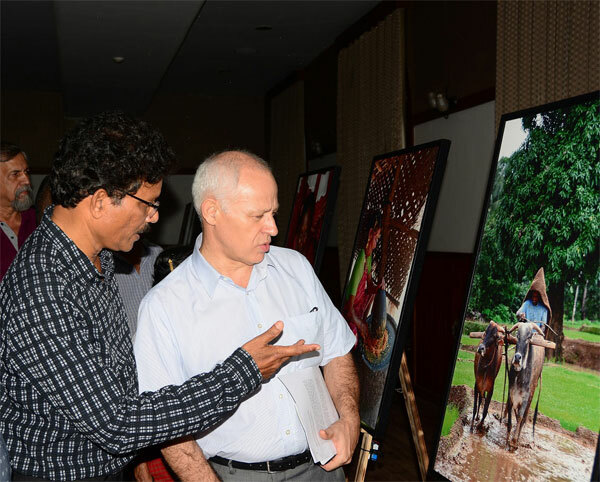 The exhibition was inaugurated at the hands of Dr. Antônio Chrystello Tavares, Consul General of Portugal in Goa in the presence of dignitaries and guests. Photographer Pantaleão Fernandes’s book ‘Goa: Rare Portraits’ is a glimpse into the rural and tribal culture of the state. The book is a collection of over 80photographs that Pantaleao shot over the years, and offers an insight into the rural and tribal culture of Goa through its native communities, residing in its forests. The exhibition will be on at Institute Menezes Braganza hall till December 7.